Thank you so much for the info. It looks like Apixaban has the potential to effect Alembic results. By the way, looking at DMF filings was a useful tip. Thanks. You are too good. Salute to you. Learning lot from you on Pharma. Thanks a lot. Thanks a lot for all the pharma wisdom. I read the Shlipa AGM notes the first time when it was published and didn’t understand much. Read Generics Pharma Pipeline Basics presentation, almost full thread of Torrent and Alembic and now able to appreciate things much better though I hold almost 38% of PF value in two pharma stock! Great job there! Pardon my lack of understanding and noob question but what does backward integration mean? Which is better among forward and backward? How does your portfolio in pharma basket look like? From disclosures you seem to be invested in Shilpa, Alembic and Torrent. From backward integration, I mean a company manufacturing its own Active Pharmaceutical Ingredients (API) for formulations. There are various steps and processes involved in manufacturing the final drug (formulation). You can read more about the basics here - http://www.valuepickr.com/resources/pharma-sector-faq/#respond. From whatever limited knowledge I have, it is better to have forward integration i.e. having own marketing set up for US markets than being backward integrated into APIs as the API cost is hardly anything compared to the overall formulation size. By being forward integrated, a pharma company doesnt have to share profits with the marketer which can be pretty high and can hurt especially in case of a first to file/exclusive products. However, being backward integrated into APIs gives you more control over supply chain especially in case of complex products. I am trying to understand exclusivity better. I tried to search a bit on USFDA site but didnt understand anything. You said above that the Exclusivity expires on Dec28, 2017 and Patent expires in in Dec 2019. So what happens in the period in between? Is it so that no one can even file and ANDA for a drug that is under exclusivity? I havent looked at Auro, so cant comment. You can search about patent expiry for ANDAs on Orange book (for biologicals you have purple book which is available in pdf) which is their USFDA website. There you can type the molecule name and get data about the patent expiry. I dont have much clarity about when the generic can be launched on exclusivity expiry or patent expiry. Actually, it varies from molecule to molecule. A drug can have various patent and exclusivity expiry dates. Even in exclusivity, there are various classifications like New Chemical Entity, Paediatric drug, Orphan Drug etc and an extension is given in case of any of these classifications (extension beyond the regular 5 years of exclusivity). Also, there can be some agreement which a generic player can enter with innovator eg Alembic has USFDA approval for gPristiq but hasnt launched it yet as per agreement with innovator because of various issues like litigations etc. I usually google about generic entry of a specific molecule. But still too difficult to predict. Thank you so much Ankit. Alembic Pharmaceuticals said that Rhizen Pharmaceuticals has entered into an exclusive, worldwide license agreement with Novartis for the development and commercialization of Rhizen’s inhaled dual P13K-delta gamma inhibitor and its closely related compounds for various indications. Under the terms of the agreement, Rhizen will receive an upfront payment and is eligible to receive development, regulatory and sales milestones payments. In addition Rhizen is also eligible to receive tiered royalties on annual net sales, the company said. The lead compound is a novel, potent, and selective dual P13K-delta gamma inhibitor with demonstrated anti-inflammatory and immuno-modulatory activity in preclinical systems and models representative of respiratory diseases. With a favorable ADME and PK profile and high therapeutic index in animals, the inhaled dual P13K-delta gamma inhibitor holds promise in the treatment of human airway disorders, it added. Rhizen Pharmaceuticals is an innovative, clinical-stage biopharmaceutical company focused on the discovery and development of novel therapeutics for the treatment of cancer, immune and metabolic disorders. 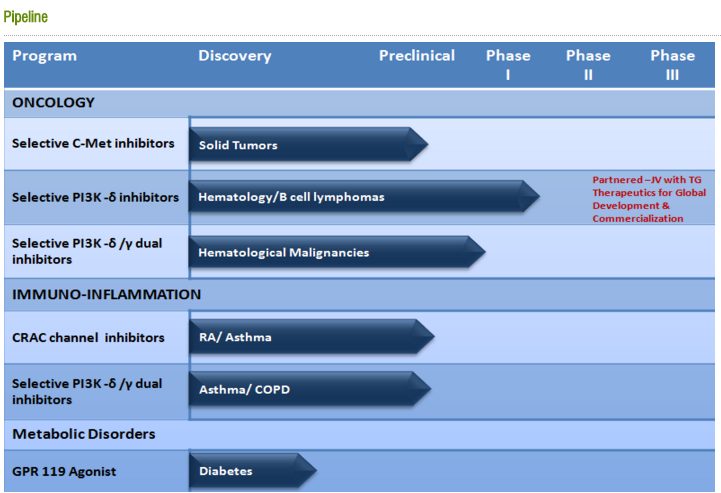 Since its establishment in 2008, Rhizen has created a diverse pipeline of proprietary drug candidates targeting several cancers and immune associated cellular pathways. Rhizen is headquartered in La-Chaux-de-Fonds, Switzerland. Any idea how much stake Alembic have in Rhizen and how big could this opportunity be? Who own balance stake in Rhizen? Rhizen is a clinical-stage biopharmaceutical company focused on discovery and development of innovative, small molecule drugs that target signal transduction networks and ion channels for the treatment of cancer, inflammation, autoimmune diseases and metabolic disorders. Rhizen’s proprietary IP in these areas is aimed at generating first-best-early in class, compounds that are expected to offer novel therapeutic options for these significant unmet medical needs. Rhizen operates as a virtual company leveraging the best efficiencies through out sourcing to globally reputed laboratories while progressing from pre-clinical to clinical development. It is the same drug for which Glenmark and Alkem were in news a day ago for USFDA approval. Linezolid is a synthetic antibiotic. It is used for treatment of infections of the skin and pneumonia although it may be use for a variety of other infections. As per IMS data Zyvox® Tablets, 600 mg achieved annual sales of approximately $447.6 million (source - http://www.glenmarkpharma.com/GLN_NWS/PDF/Glenmark_Pharmaceuticals_receives_ANDA_approval_for_Linezoid_tablets.pdf). It seems to be moderately competitive product with 7 generic players in the market currently. Good results. I read bloomberg estimates of around 198 crores. This seems way better than that. 3 ANDA and 4 DMF filings are encouraging. Also encouraging is the growth in domestic market and esp the speciality segments which is the focus area for the company. @hitesh2710 I guess you own both Alembic and Torrent. How would you compare both and which one do you like more? Both companies are almost similar. Alembic has slight edge in the US markets bcos of stronger pipeline. Torrent has broader geographical presence bcos of their presence in germany, brazil and some other countries. Some points noted during conf call. gZyvox which got approval recently will be launched shortly. US Market is top priority - R&D spend prioritized towards US. Europe is much more fragmeneted and beucase of no front end we are not prioritizing here. Brazil is a complex market. In summary, company is investing a lot into R&D in complex areas like derma and injectables which look very promising for the future. Own marketing/own labeling can increase margins in future. From what I understand, there is inherent lumpiness in the EPS for both Alembic and Torrent given US launches with limited competitiveness. So I am curious how people view normalized earnings to get a sense of valuation? I confess I have not conducted detailed research but is it possible to get a sense of one-off windfall in current year EPS- or do we just keep the faith in future pipeline and take the current number at face value? My sense is brokerage estimates are often easily surpassed and a cycle of beats + multiple expansion tends to lead to huge outperformance (e.g. Aurobindo).